Spreading Christmas cheer. Gwen Stefani spent Christmas Eve with a singing Blake Shelton and her kids. The country superstar, 40, wore a baseball cap and plaid shirt as he strummed a guitar and sang the classic ‘A Holly Jolly Christmas’ along with accompaniment from an accordion and xylophone for assembled friends and family at the festive celebration. 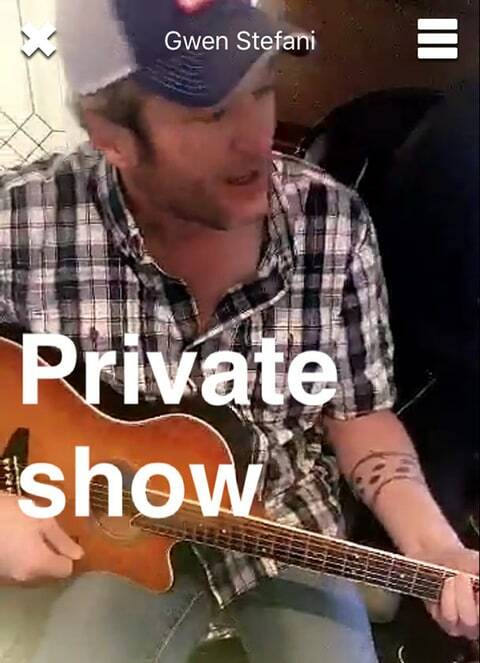 Stefani, 47, captioned a video of his performance “Private show” as she shared it on Snapchat on Saturday, December 24.